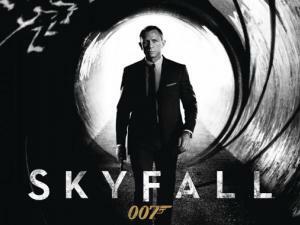 I just saw Skyfall, the 23rd film in the Bond series. I thought it would be good but it exceeded my exceptions! The performances from Judi Dench and Javier Bardem were great, as was Daniel Craig’s. This was definitely his best bond film. Roger Deakins (the director of photography) definitely earned his worth providing the best cinematography ever seen by a bond film. In fact the glamor shots of the DB5, as well as the spectacular photography lit by the burning building, alone were enough to justify the cost of admission. Director Sam Mendez was definitely able to separate himself from “American Beauty” and “Revolutionary Road” to create a truly great Bond film. Great Bond villain, too! Completely terrifying.